OTTOCON1: The art of Joel Jackson: Drawing of the Day 032...Famous Beard 005...Mr. Natural! 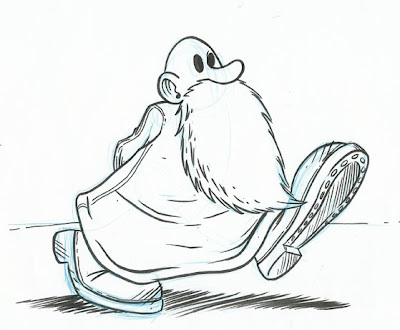 Drawing of the Day 032...Famous Beard 005...Mr. Natural! I've only met your brother a couple of times, but I can guess he is not like Crumb's brothers.